Fender Bandmaster Reverb in the shop! A nice Silverface Fender Bandmaster Reverb walked into the shop yesterday! It’s due for, among other things, a re-cap job -> All the electrolytic capacitors in the amp are original, dating back to 1969. So, we’re going to replace the old capacitors, re-wire the bias circuit to allow for an adjustable bias, and basically bullet-proof the amp to make it more reliable, by replacing the old parts most likely to cause a failure. 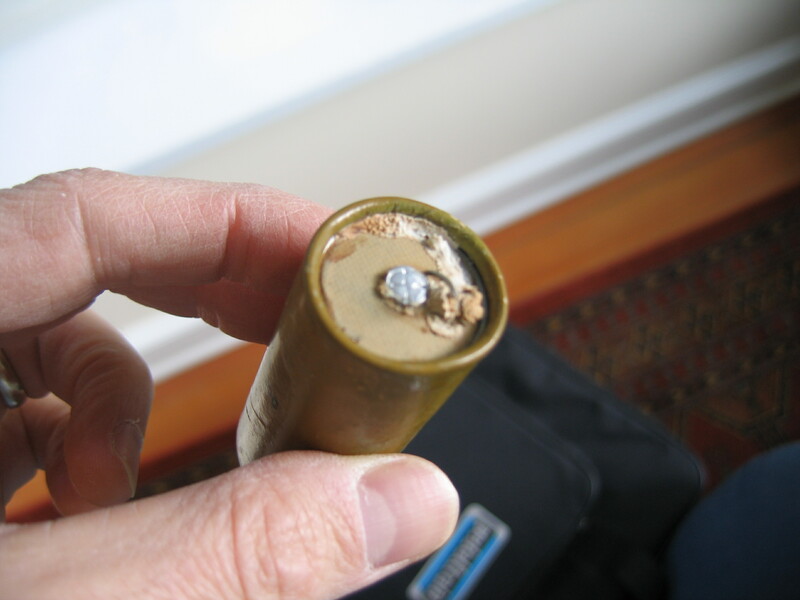 See photo below of one of the power supply capacitors: It’s leaking electrolyte and destined to fail.